Erica Van Dyken was just named the 2018 United States Hunter Jumper Association Zone 2 Reserve Champion in the Medium Green Pony division. Not long after Erica Van Dyken was walking and talking, she was riding. The Moorestown Friends School seventh grader took her first ride at age 3. In the beginning, she sat on the horse and trotted a little while someone stood dutifully nearby to ensure she didn’t fall. These days, however, Van Dyken has gone from trotting to taking the equestrian world by storm. 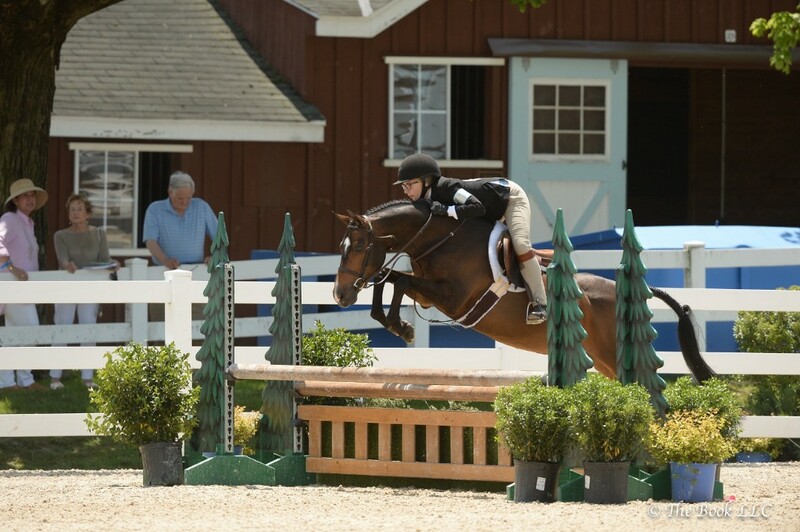 Van Dyken was just named the 2018 United States Hunter Jumper Association Zone 2 Reserve Champion in the Medium Green Pony division, which had her facing off against equestrians from New Jersey, Pennsylvania and New York. Van Dyken’s mother, Dina Van Dyken, rode from the time she was a child, so Van Dyken was introduced to horses earlier than most. It wasn’t until Van Dyken got a little older that she realized riding could become more than a passtime. The sport has since taken over her life. A Moorestown resident, Van Dyken dutifully goes to a farm in Hainesport to train every day after school. After a few hours of training, Van Dyken returns home to finish her homework and repeats the whole process again the next day — sometimes even heading to the stables on the weekend. Going every day can prove challenging at times. Van Dyken said school is always her top priority, so she knows however hard she may need to work for an upcoming competition, she won’t do so at the expense of her schoolwork. She said training every week day can make it difficult to keep her energy high at every practice, but it’s all about the attitude. She said even during the long practices and difficult training, she reminds herself that, at the end of the day, she loves the sport. Much like any rider, Van Dyken said she’s fallen off her horse a fair number of times while training, but in her eyes, that comes with the territory. She said she’s thankfully never broken anything, but the falls have left her frustrated at times. If the fall is her fault, she gets aggravated at herself, but if the fall is the pony’s doing, it can take some time to rebuild trust. “The connection you had goes away for a little while and you have to try to regain it,” Van Dyken said. Van Dyken is currently preparing for the winter circuit, which will have her flying back and forth to Mississippi every weekend for seven consecutive weeks. She said she doesn’t think too far ahead about her overall rankings. Instead, she tackles each competition as it comes her way. Dina said she and her husband are immensely proud of the hard work their daughter has put in to her training. She said her daughter has won top ribbons at The Devon Horse Show, and The Pennsylvania National Horse Show, but more importantly than that, she’s glad to see her daughter has become so passionate about the sport. Van Dyken said she’s eager to go as far with the sport as she can and isn’t discounting continuing to ride into her college years. She said the sport has brought her friendships, and by and large, the competition has proven fun. Despite the long days, the travel and the seven weeks of travel, Van Dyken thinks it’s all worth it. “I push myself to do it because I know that I love it,” Van Dyken said.